We are a renowned manufacturer, exporter and supplier of a wide range of Roasting Machine. 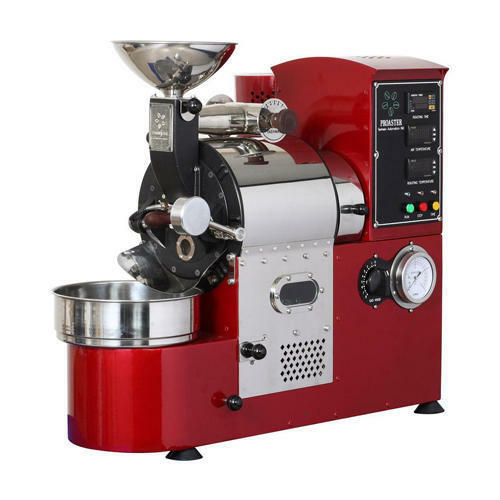 Appreciated for its durability, excellent loading capacity, our offered roasting machine is manufactured from excellent quality components under the guidance of professionals keeping in mind the set industry norms. Offered roasting machine is tested on various parameters so as to dispatch a flawless range. This roasting machine is available in customized options for fulfilling the demand of our clients. Power required 1 to 5 HP (Main Motor) & 5KW to 15KW (Heating power) Gas Heating model also available.